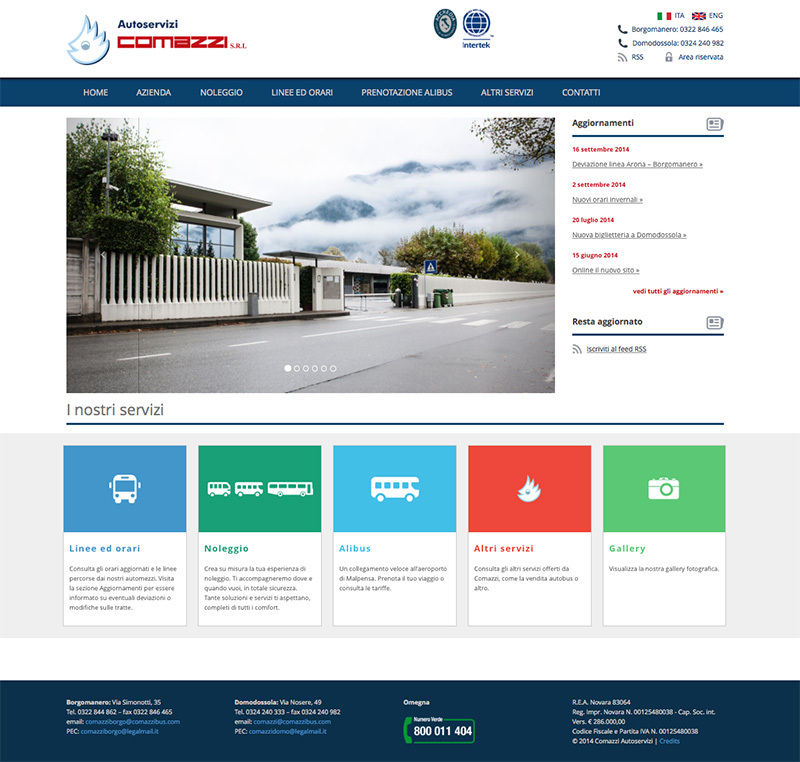 The new Autoservizi Comazzi’s website is finally online, designed and built by the creative agency Vecchi & Besso Comunicazine. A clean, modern and functional design, offering visitors an overview of the company, lines and timetables, bus rental service and booking service Alibus. The site is responsive, a new concept of web design that makes the site layout optimized for each type of device, from smartphones to tablets, to desktop computers. Consulta le tipologie di biglietti e abbonamenti e le modalità di rinnovo.